In the worst case scenario, you know you nee d a crawl space cleanup because you can smell something down there emanating up into your home. Gross! The Killers Crawl Space Restoration offers quality professional crawl space cleanup in Albany, OR. With more than 30 years in business, you can count on us to safely remove soiled and contaminated materials from under you home or business. We will get rid of whatever died down there and restore the area to a clean, safe space. 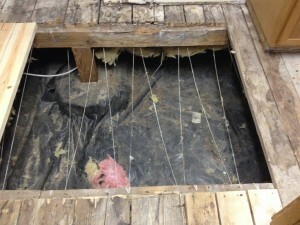 Crawl spaces need to have just the right balance to stay in good condition. The moisture needs to be held to a minimum, there needs to be barriers to keep insects and rodents out, and the insulation needs to be just right for the area to stay in a healthy, functioning condition. When this balance gets out of sorts, things can deteriorate quickly. You wind up with rodent or insect activity that tears up insulation and the vapor barrier, and from there it is a short distance to an overgrowth of mold and mildew. 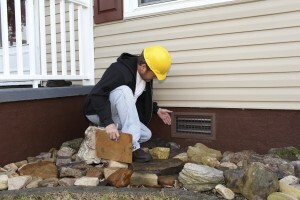 These contaminates create a threat to the building materials in the foundation of your home as well as a health threat to the air quality inside. You may experience foul odors or increased respiratory concerns or allergies. What you probably don’t notice is the destruction to the wood and other housing materials beneath your home. The destruction of insulation also renders it ineffective at improving energy efficiency. Our crawl space cleanup professionals meticulously remove items that are soiled. We do this using safety precautions to eliminate any threat of contaminates being inadvertently spread. Once the soiled materials are out, we thoroughly clean the area. That includes replacing broken down building material, drying out excessive moisture, and installing pest control measures. Once the cleaning is complete we reinstall new insulation and measure for the proper ventilation. We tightly seal off the area to avoid future rodents and insects from getting in. Then you have a freshly restored crawl space that will stay that way for quite some time. Our experienced professionals never do any work without your approval. We complete an inspection and then talk to you about the condition of your crawl space. We discuss our suggestions for cleanup and give you an easy-to-understand, written estimate. You will never get pressure or hidden fess when you work with us. Check out our online reviews and you will see why we have been the go-to name for crawl space cleanup for so long! 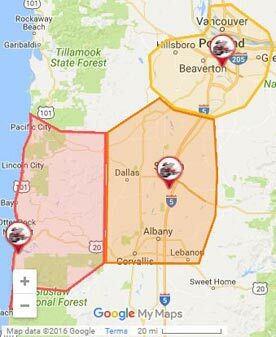 Contact us today for an estimate on your professional crawl space cleanup in Albany, OR and the surrounding areas.